Photo by Thearon W. Henderson/Getty ImagesSteph Curry. 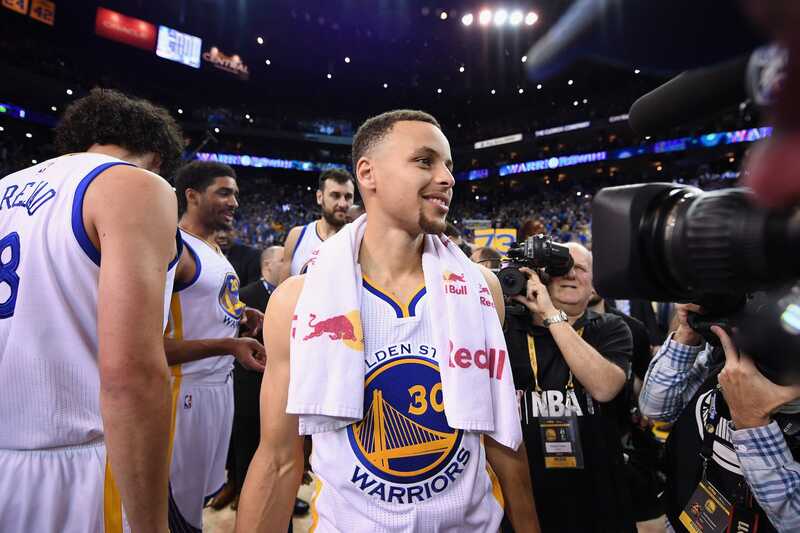 Steph Curry made history Sunday. The Golden State Warriors point guard netted 35 points, but it was his laser-guided shooting from distance that broke a record. This is because the weekend win over the Brooklyn Nets was his seventh straight game tallying five or more 3-pointers. He is the first player in NBA history to do so. You can watch the record-breaking basket below. Steph Curry helped the Golden State Warriors overcome a late Brooklyn Nets rally on Sunday, winning 120-114. It was the Warriors’ fourth win in a row, but Curry – recently dubbed “video game good” by his teammates – had additional reason to cheer. That is because he set yet another NBA record. Curry, responsible for 35 points in the win, put together a PlayStation performance by sinking seven of his 15 shots from range. That made him the first player in history to go seven straight games having sunk five or more 3-pointers. Curry’s shooting ability was a sight to behold in the first half, as he tallied 24 points and sank five of his eight shots from deep. Curry may have broken the record, but the story here is really one about partnership, as Curry and Kevin Durant are dominating matches for the Warriors. Curry may have gotten 35 points, but Durant was only just behind with 34. He also contributed with six assists and eight rebounds. “The continuity of being together now for a while, winning back-to-back titles together, I think there’s probably a better comfort zone, comfort area between the two of them than there’s ever been,” Warriors head coach Steve Kerr said, according to Sky Sports.